NOTTINGHAM, Md. 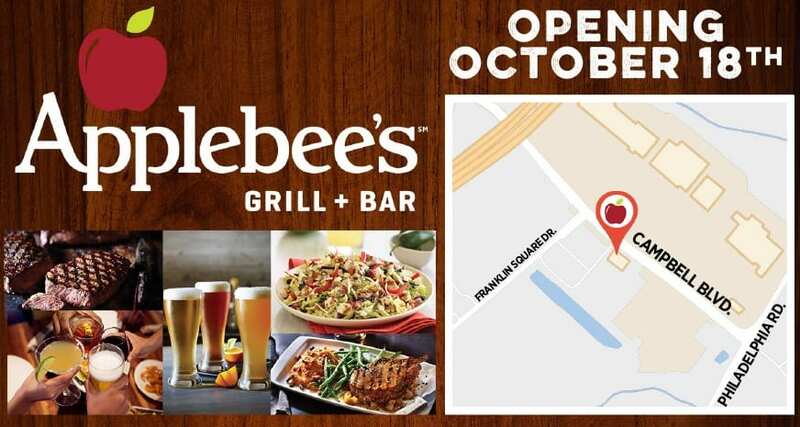 – The Rose Group, a leading franchisee of Applebee’s Neighborhood Grill & Bar and Corner Bakery Cafe restaurants, will be opening its newest Applebee’s location with the restaurant chain’s chic re-imagined design on Tuesday, October 18, at 5231 Campbell Blvd., in Nottingham, Maryland. Applebee’s has been rolling out its new look nationwide with restaurants featuring the latest loft style design trends like exposed stone and brick, tall spacious windows, industrial Edison bulb style lighting and unique to this particular location, outdoor seating and a fire pit that visitors can enjoy, just in time for fall weather. The Nottingham Applebee’s offers the restaurant’s recently redesigned menu, featuring Hand-Cut Wood-Fired top sirloin steaks, Cedar Plank Salmon and the Crispy Brewhouse Chicken, along with sides such as Crispy Cheddar Bacon Potatoes and Fire Grilled Veggies. The bar offers 14 rotating taps, pouring a wide variety of craft beers that pair with Applebee’s updated menu. Inside, sports fans won’t miss a moment with wall-to-wall TVs equipped with DIRECTV’s NFL Sunday Ticket, showing every minute of multiple NFL football games. 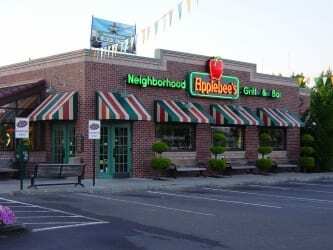 All Applebee’s customers who stop in to the new Applebee’s location before November 1 can enter to win Free Applebee’s for a Year, and will be some of the first in Maryland to experience the new Applebee’s design. Favorites such as the Applebee’s Happy Hour from 3-6 p.m. Monday through Friday and 9 p.m. to close every night will be available upon opening and will feature half-priced appetizers and drink specials.